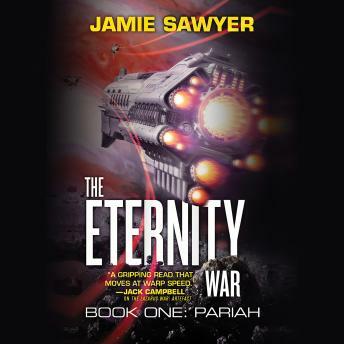 The first novel in a brand-new series from rising SF star Jamie Sawyer, The Eternity War: Pariah is an action-packed adventure set in the same universe as his acclaimed Lazarus War novels. The soldiers of the Simulant Operations Programme are mankind's elite warriors. Veterans of a thousand battles across a hundred worlds, they undertake suicidal missions to protect humanity from the insidious Krell Empire and the mysterious machine race known as the Shard. Lieutenant Keira Jenkins is an experienced simulant operative and leader of the Jackals, a team of raw recruits keen to taste battle. They soon get their chance when the Black Spiral terrorist network seizes control of a space station. Yet no amount of training could have prepared the Jackals for the deadly conspiracy they soon find themselves drawn into - a conspiracy that is set to spark a furious new war across the galaxy.